BOLIN - Helsinki, Finland - WHEN ??? Makke Fagerholm: What he did ??? EASY LIVING- Helsinki - WHEN ??? Antti Hulkko (Later known as Andy McCoy) and Jan Stenfors (Later known as Nasty Suicide) played guitar at the school events. And by Sami`s own words: "some other folks..."
BRIARD IV - Helsinki, Finland - WHEN ??? PAIN - Stocholm, Sweden - WHEN ??? On occasion Matti "Makke" Fagerholm played bass and saxophone in Briard. Andy asked Makke to join Briard as a second guitarist but Makke didn't want to cut his hair as Pete Malmi demanded. Andy composed a few songs for Japanese singer Honda. Andy, Sam and Razzle played on Honda's album. Nasty Suicide played with the band on a few gigs in London. Rene Berg played guitar at least once in Hanoi Rocks gig in 1983. After Razzle`s death Mark Laffin (Generation-X) and Rat Scabies:ia (Damned) were the first two choices to Razzle` s successors. HANOI ROCKS - JIMI SUMÈN - WHERE ??? - WHEN ??? On occasion Jimi Sumèn (Classic Noveaux) played keyboards in Hanoi gigs. Hanoi Rocks had an audition with Alvin Gibbs after Sam Yaffa left the band and he was supposed to be Sam's successor. Greg Brown (Afro Funk band Osibisa) played the bass in Oil & Gasoline. Nasty played with Road Rats in Alibi bar in Helsinki. On July 14, Nasty played with Johnny Thunders in London. Michael Monroe played for a while in Nona Hendryx's band. Andy played a few acoustic gigs with Finnish guitarsit Jukka Tolonen. TRASH COWBOYS - New York - WHEN ??? MICHAEL MONROE TOUR BAND (Not Faking It tour) - 1990 - ? On occasion Nasty Suicide toured with the band. Andy played a few acoustic gigs in Finland with Dave Lindholm and legendary pianist Nicky Hopkins (The Rolling Stones etc.). MACHINE GUN RODEO - Los Angeles, USA - WHEN ??? PRE- DEMOLITION 23. - New York, USA - WHEN ??? 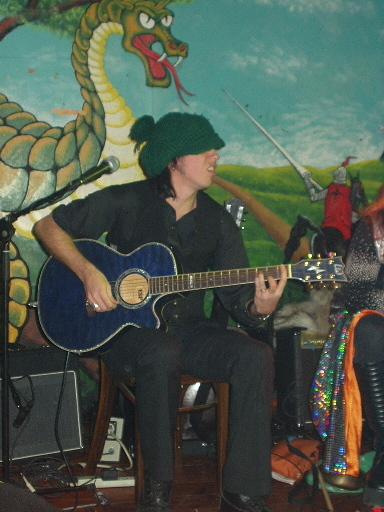 Jan and Puka played acoustic gigs. Andy made a small acoustic tour in Finland with Pelle Miljoona and Dave Lindholm. For instance Kouvola Midsummer festival 1999. Tavastia, winter or spring 1999, the gig aired on Yle TV1 on April 7 2000. Sami Yaffa joined Joan Jett And The Blackhearts in spring 2003. Michael Monroe, Little Steven Bruce Springsteen, Lou Reed, Bono, Joey Ramone, Jimmy Cliff, RUN DMC, Peter Wolf, Nona Hendryx and many others. Sami put the band together when Michael went to stay in LA for a month. They did just one show. Sam Yaffa played a few gigs with Finnish band called Smack in Los Angeles. In 1992 Columbia Records put out an CD wich inculded two Smack albums "Salvation" and "Radical". The bass player named Ulan Bator on bonus tracks "Can You Dig It" and "Crazy River" is Sam Yaffa. Andy palyed some guitars on UK Subs album "Killing time". Axl Rose did a guest appearance in the video of "Dead, Jail Or Rock'n'Roll". Both Slash and Axl got up on stage with Michael at the L.A. WHISKY-A-GO-GO in Michael's U.S. Tour -89. Slash also came up to play with Michael in Chicago on the same tour. Michael played saxophone and harmonica on a song of the "Use Your Illusion I" album called "Bad Obsession. "A SHORT LIVED PROJECT WIHT NO NAME" - Los Angeles, USA - WHEN ??? SNATCHES OF PINK - ANDY MCCOY - WHERE ??? - WHEN ??? Andy palyed some guitars on SNATCHES OF PINK album "Bent with prey". Steppenwolf song "Magic Carpet Ride" for the movie soundtrack of the "Coneheads" comedy film. Michael guest appearanced on Guns And Roses`s The Spaghetti Incident-album on song called "Ain`t it fun". Guns & Roses asked Michael to come and play harmonica on "Knockin' On Heavens Door" and to join with Ronnie Wood (The Rolling Stones) to play "Honky Tonk Women". Izzy Stradlin was also then in the band sitting in for Gilby Clark. Michael guest appearanced on Warrior Soul's record "Chillpill". Monroe plays saxophone on one track and harmonica on another. Michael also played some gigs with Warrior Soul. Michael Monroe, Sam Yaffa & Nasty Suicied on Johnny Thunders Tibute Lp. LION HEART - MICHAEL MONROE - WHERE ??? - WHEN ??? Michael Monroe on Lion Heart-album. DID HE REALLY PLAY ON IT ??? Michael Monroe: Guest harmonica on "Cry Baby" and "Golden Days". Guest harmonica & Backing vocals on "Sorry". Scream on the song "Flight". Andy McCoy played guitar on a few gigs with Pelle (Miljoona) & Rockers. He also played guitar and did vocals on one track "Kuin Romeo ja Julia" (originally "The Reaper" by Blue Oyster Cult). Andy McCoy played guitar on a few gigs with Pelle (Miljoona) & Rockers. He also played guitar on track "Kaipaan sua". Andy McCoy played guitar on song "Taas mennään" by Finnish boy band XL5. He also apperad on the video of that song. Andy McCoy played guitar on 69Eyes album Savage Garden as "Cosmic Ted" on song called "Wild Talk". this was an old song previously not realeased, Andy did a demoversion back in nov '89. Andy helped the 69 eyes with their contribution to the japanese compilation-album "Stranded in the doll's house" which was a tribute to Johnny Thunders and Jerry Nolan. The song were "Vietnamese baby" written by David Johansen. The original version can be found on the New York Dolls first album from 1973. Michael did an horn section and harmonica on the song called "Rocker". He also shared the lead vocals with Nicke. The song was released on Backyard Babies' CD called "Highlights". Michael quickly put together a band with local players. They rehearsed a couple of days and did a show at Toronto's Velvet Underground Club. A few days later Michael played in New York City with the same band at the Club Life (ex-Village Gate) on Bleecker Street, downtown Manhattan. HIGH TIMES - ANDY MCCOY - Helsinki, Finland - WHEN ??? Andy McCoy did something in a few gigs of Finnish Hip-Hop band called Bomfunk mc`s. They played a few Mad Juana songs and some others songs like Ann (Stooges), Looking at You (MC5) , These Boots Were Made for Walkin (Nancy Sinatra), Venus in Furs (VU).